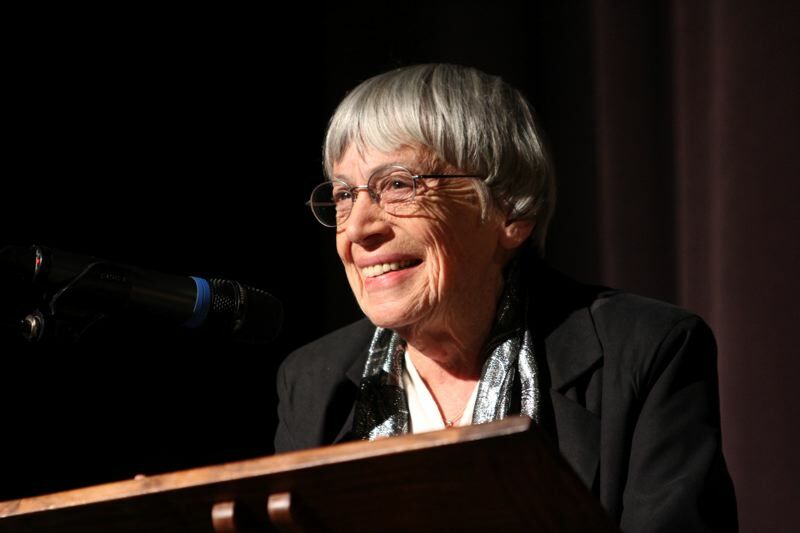 Ursula K. Le Guin will have a long legacy, and Literary Arts and the LeGuin family want to pay tribute to the late Portland author. There'll be a free, public tribute featuring writers and friends, 7:30 p.m. to 9:30 p.m. June 13 at the Arlene Schnitzer Concert Hall, 1037 S.W. Broadway. The list of guests include Margaret Atwood (by video), Molly Gloss, Walidah Imarisha, Jonathan Lethem, Kelly Link, China Mieville and Daniel Jose Older. Andrea Schulz, Le Guin's editor at Viking Books, and Julie Phillips, Le Guin's biographer, also will speak at the tribute. Literary Arts will release tickets for the event at noon Tuesday, May 1. For more: literary-arts.org. The event will be livestreamed and recorded for rebroadcast on the Literary Arts podcast "The Archive Project." Le Guin, who died Jan. 22 at age 88, published 21 novels, 11 volumes of short stories, four collections of essays, 12 books for children, six volumes of poetry and four of translation. She was involved with Literary Arts for 31 years. Oregon Ballet Theatre has named Marion Tonner as the new director of the OBT School. She'll join the school in June. The search reached far and wide, including the United Kingdom, Australia and Portugal. Tonner previously served as principal at Orlando Ballet School. She's a native of England but has called the United States home since 1974 and danced professionally with Maryland Ballet. The Alzheimer's Association's Memories in the Making art program gives people with dementia the ability to paint their thoughts, emotions and memories, and local artists have found inspiration in the program. On May 11, the Oregon and Southwest Washington chapters of the Alzheimer's Association will host their Memories in the Making Art Auction & Gala, and art by 21 professional artists will be paired with watercolor paintings by individuals living with Alzheimer's disease or another dementia. It starts at 5:30 p.m. at the Sentinel Hotel, 614 S.W. 11th Ave.; there'll be entertainment, silent and live auctions, a raffle and food. The art of renowned Japanese-American internment survivor Jimmy Mirikitani is coming to Portland, set to be exhibited at the Emerson Street House Gallery, 1006 N.E. Emerson St., May 2-Sept. 16. An opening will be at 4 p.m. Sunday, May 6. In addition, there'll be a screening of the Linda Hattendorf documentary film, "The Cats of Mirikitani," shown at 7 p.m. May 10 and 7 p.m. June 29 at the Clinton Street Theater, 2522 S.E. Clinton St.
After his internment during the 1940s, Mirikitani worked as a chef for several years until circumstances left him homeless. He survived by selling paintings before being discovered by Hattendorf in 2001. Mirikitani painted for some 50 years, often with cats as subjects. He died in 2012 at age 92. The Wooden Shoe Tulip Farm has extended the Tulip Fest till Sunday, May 6, due to lower temperatures in April keeping tulips open longer and delaying other bulbs from opening. There are expected to be even more vibrant colors at the Woodburn farm into May. 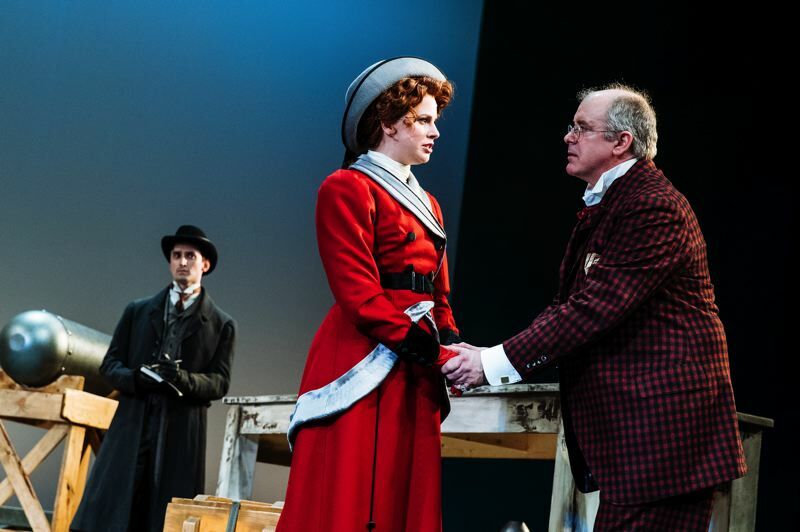 A reminder: The George Bernard Shaw witty and timeless classic about a daughter's philanthropic idealism and a father's capitalistic lifestyle continues through May 13 at The Armory, 128 N.W. 11th Ave. It's the final show for Chris Coleman, the outgoing Portland Center Stage artistic director, who leaves in May to work at a Denver theater. Tickets start at $25; see www.pcs.org. The 43rd annual Northwest Handmade Musical Instrument Exhibit will take place at 5 p.m. April 28 and 29 on the Marylhurst University campus, 17600 Pacific Highway in Marylhurst. More than 80 artisans from across the Pacific Northwest will gather to display and play all types of guitars, bowed and stringed instruments, mandolins, banjos, ukuleles, percussion and ancient instruments. "We have several first-time exhibitors, including two lute makers and a Native American flute maker who will also perform his creative masterpieces," says Cyndy Burton, of Early Music Guild of Oregon. "The ever-popular acoustic flattop guitars are aplenty, as well as classical guitars, electrics and archtops. Ukes are enjoying an incredible boom, and we have more than ever before." There will be more than 30 mini-performances by local professional musicians including Mary Flower, Mark Hanson, Travis Stine, Josiah Payne and Peter Zisa. The art of instrument making will be demonstrated by craftsmen. "We'll also have an on-stage display of assorted 'Venerables' again, our way to honor ingenuity, age, originality and humor," Burton says. "This year's Venerables will include an old hurdy-gurdy, a good example of all of the above."